Today's styling secret topic is a trend that I hope stays forever, because not only is the teddy bear coat fabulously chic but it's actually functional because of how warm they are! They are also insanely versatile because you can throw them on with sweats or jeans and booties and you can be sure to have a look with really minimal effort. The key with these jackets though is, because they are so over the top, to keep the rest of the outfit pretty minimal and let it be your statement piece. I like to do this by having a monochrome look underneath, neutrals, or matching the tones of the coat. Not only does that make styling these so easy but it looks extremely put together. This airport outfit is extremely comfy but fashionable. Have to be extra even at the airport! 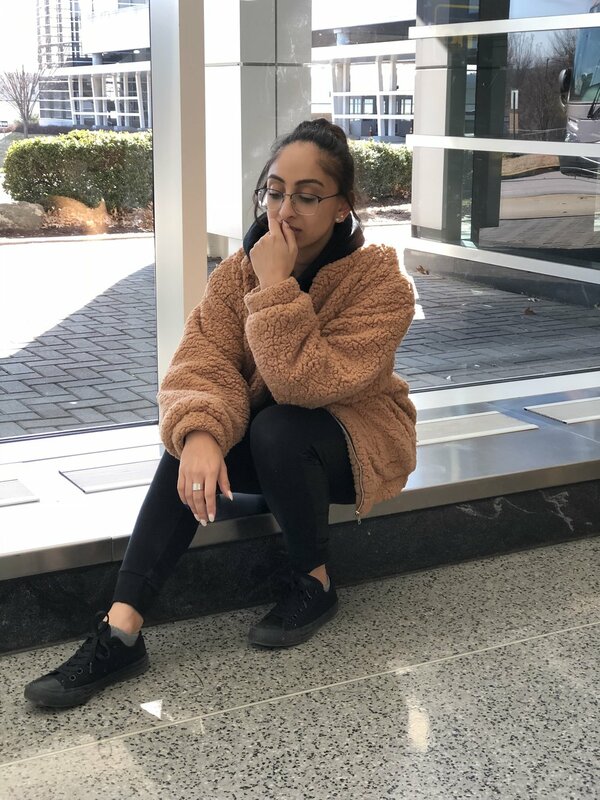 My tan teddy bear coat is from Amazon, my hoodie is from Dreamville, joggers from Hollister, sneakers from converse, and glasses from eye buy direct. This look is one of my favorites because of how chic it is, and we all know by now how much I love black and grey. My coat is from Nordstrom Rack, my sweater is from Forever 21, my jeans are form 7 For All Mankind, booties are from Nordstrom Rack, and earrings are from Tj Maxx. This look is another more put together but casual look that I love incorporates a bunch of neutrals. My jacket is from Amazon, sweater is from Forever 21, scarf is one I stole from my mom (sorry! ), jeans are from top shop, and my thigh high boots are from Steve Madden. And with that, I hope you got some fashion inspiration for how to style this great outer piece!